Ardell Duralash FLARE LONG length (12mm long) individual eyelashes are KNOTTED, weightless, waterproof, and absolutely easy to apply. Each package contains 56 easy to apply long individual lash clusters. Each pack contains 10 strands per individual lash cluster. 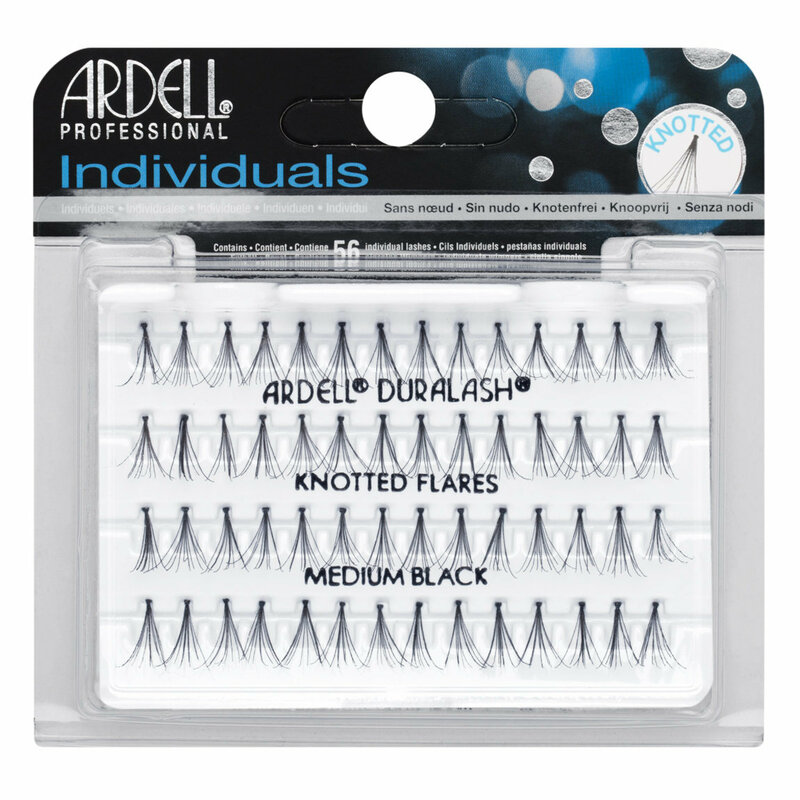 Ardell Duralash FLARE Medium length (10mm long) individual eyelashes are KNOTTED, weightless, waterproof, and absolutely easy to apply. Each pack contains 10 strands per individual lash cluster. For a comparable style, try Andrea Permalash Medium lashes. Ardell Duralash FLARE Short length (8mm long) individual eyelashes are KNOTTED, weightless, waterproof, and easy to apply. Each pack contains 10 strands per individual lash cluster. For a comparable style, try Andrea Permalash Short lashes.